There are a lot of Greek Islands to choose from, and they each have a reputation for something - some are party islands, others are family resort islands, all are stunning. The Cyclades Islands are the group of islands most people think of when they talk about Greece. These include Santorini, Mykonos and Ios. So how do you find the right one for you? Here’s what you can expect to find on some of the more popular islands. 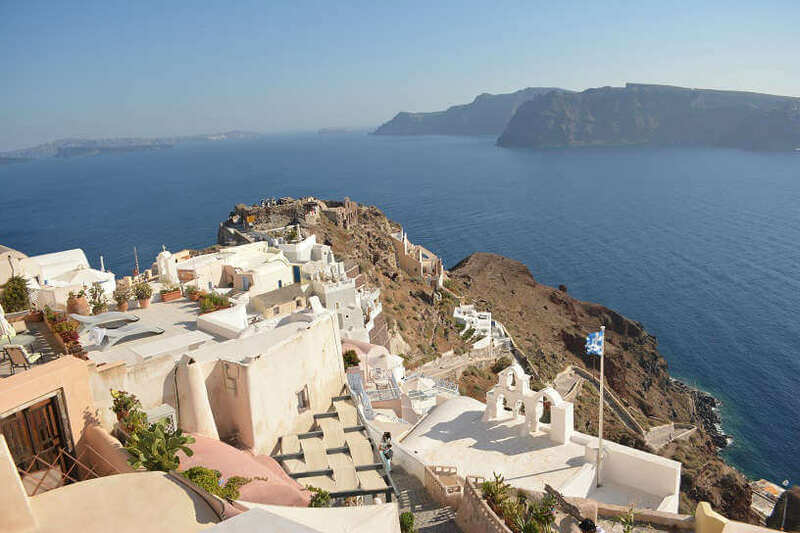 Santorini has everything – stunning views and beaches, delicious food, snorkelling, hot springs, and quad bike rental shops on nearly every corner. Santorini is the island most likely to suit everyone’s taste and it was the very first Greek Island I visited. I’ve stayed in Thira and Kamari Beach during my visits to Santorini. Thira is the main town of Santorini and is a good place to base yourself, though it can get noisy. But be warned, all roads lead to Thira, so if you stay out of town and don’t have your own transport be prepared to always have to change buses at Thira to get to your intended destination. The buses are modern, efficient and regular and cost from €1.60 each leg of your journey. One of the most famous parts of Santorini is Oia because of its spectacular sunsets. Its cobbled winding streets are interesting to wander and are the place to do a bit of souvenir shopping or have dinner and drinks in a restaurant looking towards the volcanic caldera and the sunset. Be prepared to get to Oia early to secure a prime spot to watch the sunset particularly in high season – it gets very crowded and there are selfie sticks galore. Santorini is also the place to hire a quad bike. You can hire a quad bike seating two for about €35 euro a day (about A$50), including helmets and insurance. There are quad bike hire places everywhere. The quads bikes in Santorini feel very safe (this is not the case everywhere) and were fun to ride. It was a great way to see the island and not as time consuming as taking the bus. Make sure you venture out to Red Beach, and you can also combine this with a visit to the Akrotiri archaeological site. The black sand beach, Kamari, is also a nice spot and there’s plenty of accommodation and food options here. There are also numerous tours on offer to the volcanic caldera and hot springs. It’s all about the beach parties on Mykonos or you can dance until after the sun comes up at club Cavo Paradiso. The beaches off the beaten track across Mykonos Island are beautiful so a quad bike is a popular way to get around. But be careful when you hire these bikes and make sure helmets and insurance are included in the price. Expect to pay around €25 for a two-person bike for 24 hours. Super Paradise Beach is a great swimming spot as well as a beach party spot. Cavo Paradiso is situated on nearby Paradise Beach and is open from midnight to 8 am, there’s a cover charge depending on the DJ and event. In Mykonos town, the Scandinavian Bar is one of more popular bars. 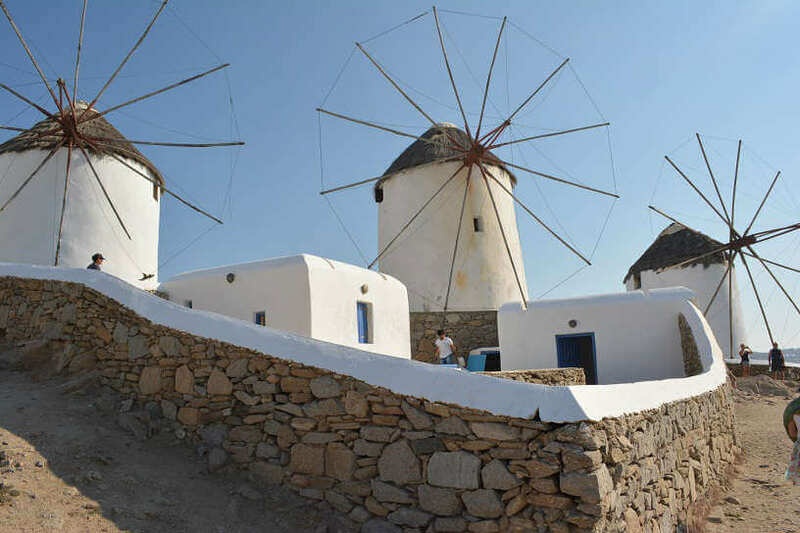 While you are in town, check out the iconic windmills and wander the streets of Little Venice. There are regular buses out to some of the more popular beaches such as Super Paradise from the bus station at Fabrika in Mykonos centre. Buses also go to Cavo Paradiso at night. If you’re hungry, make sure you go to the Attica Bakery right near the bus station. They have treats to suit all tastes but I loved the orange cake and Greek yoghurt with honey. I also loved Premier Crepes – it’s cheap and there’s a great selection of savoury and sweet crepes, and the owner is lovely. My friend and I went there for lunch every day of our stay. Ios is full of Australians enjoying the nightlife and sleeping the day away. Ios is a bit of a ghost town during the day. If you’re lucky, you’ll see maybe a dozen people wandering Ios before 4pm during peak season. Ios is filled with great bars and pubs offering very cheap drinks - one bar I wandered past was offering two cocktails for €5 (about A$7.50). The island itself has pretty views and is worth exploring before you head out for the night. Make sure you head up to the churches on the top of the hill in the old town Chora for views over to the port and sparkling blue water of the Aegean Sea. 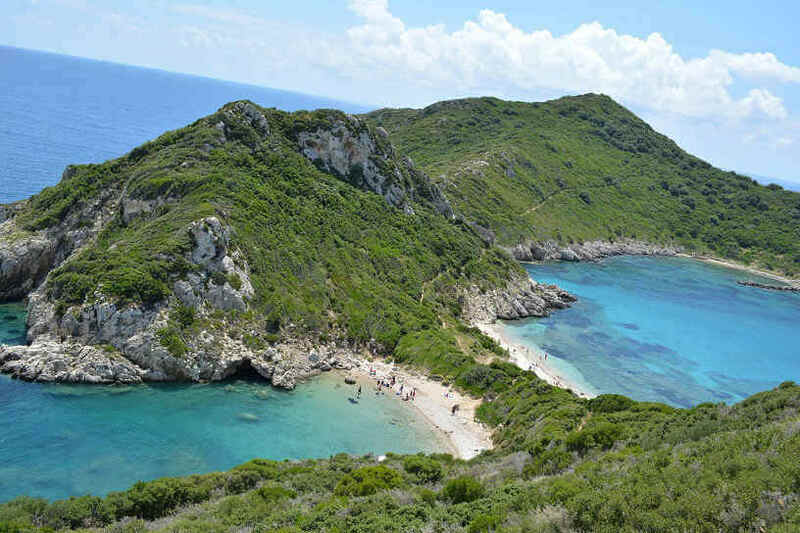 Corfu lies in the Ionian Sea on the opposite side of Greece from the Cyclades Islands. A lot of British families flock here during the summer for their annual holidays, and it’s more of a family resort town than a party island. The island is stunning and it’s worth hiring a car to see the island outside the old town. The old town itself is worth spending at least a half day to wander and visit the two fortresses on opposite hills. The old town is a UNESCO World Heritage Site. Start with the Old Fortress, and then make your way through the town to the New Fortress, which was built to strengthen the fortifications of the island. Spend the other half of your day on a visit to Double Bay at Porto Timoni, about an hour’s drive from the old town past numerous olive groves. Drive to the village of Afionas and park near the entrance of the whitewashed streets. From there, you walk through the village, past an ocean lookout, and down a narrow dirt path to Double Bay. This is a stunning swimming spot so plan to spend a few hours here before you tackle the walk back up the hill. 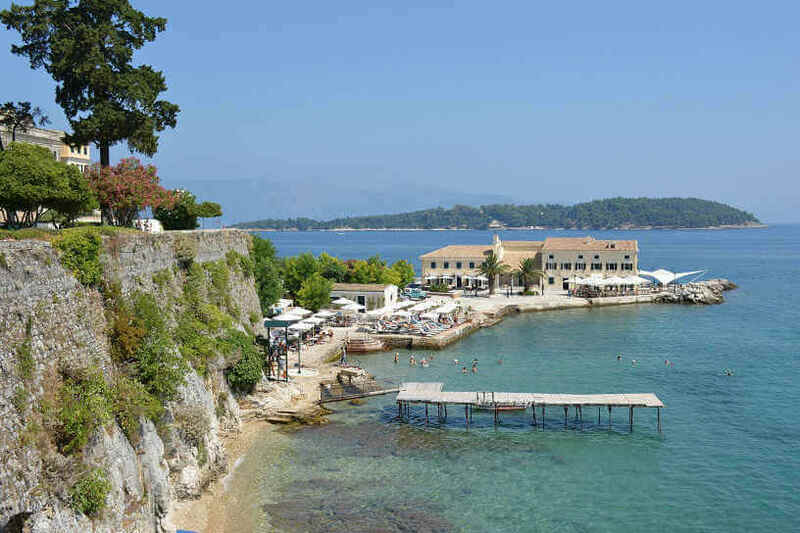 Corfu is also a great jumping point to take day boat trips to Saranda in Albania and the Greek Islands of Paxos and Antipaxos. 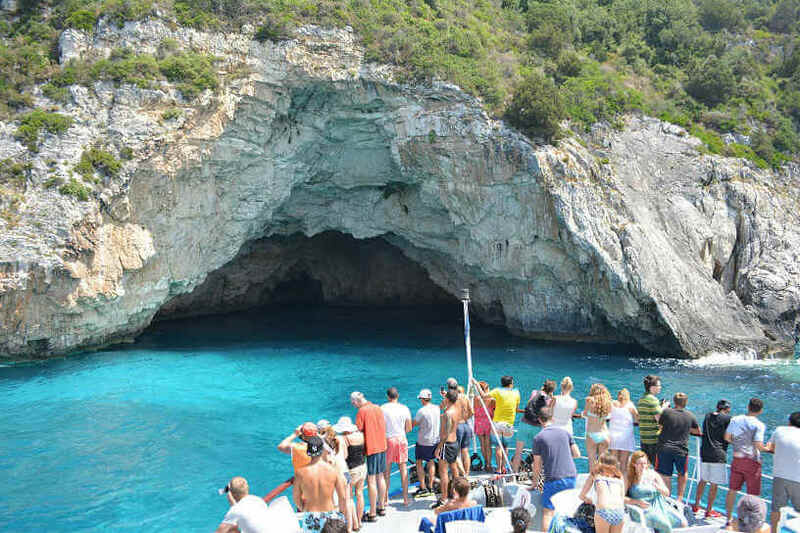 The waters of Antipaxos are a stunning, clear blue, and Paxos has a picturesque port area. The highlight of the Albania boat trip is the visit to Butrint. About 20km outside of Saranda is this former Greek town which was abandoned in the late Middle Ages. It’s now a site of fascinating ruins. The islands listed here are just a sample of what’s on offer in the Greek Islands. Other islands you may want to consider visiting at least for a day or two include Naxos, Paros, Samos, Milos, and Crete. Be careful on quad bikes in Mykonos. They’re not that sturdy and helmets often aren’t included. Be extremely cautious on corners. If you’re looking at hiring a quad bike, make sure you’re covered for any mishaps with your travel insurance. Quad bikes are often not included in the standard cover. You’ll need plenty of sunscreen and a wide-brimmed hat during the summer months. It can get very hot in Greece during the warmer months. Be prepared for large crowds at Oia on Santorini to watch the sunset during high season. Get there early and be ready to mingle with the crowd to get out once the show’s over. Greece has accommodation for all sorts of budgets from beach camping to upmarket resorts. If you’re taking a taxi on the islands, settle on a price with the driver before you leave. Most island taxis don’t have meters. Large sea ferries are a great way to go between islands, and several companies service the Cyclades Island routes. Instagram: @_thelittleadventurer Facebook: The Little Adventurer Australia.